Members of a state House committee heard a litany of arguments for and against a bill that would provide a $500 million annual subsidy to try to keep two of Pennsylvania’s five nuclear power plants from closing early. The bills recognize nuclear plants as sources of carbon-free electricity and create new requirements about how electric utilities are to purchase power. They add nuclear energy to Pennsylvania’s Alternative Energy Portfolio Standard — a 2004 law mandating utilities buy power from certain clean and alternative energy sources, like wind and solar. Both bills are designed to prevent the closure of Exelon’s Three Mile Island plant outside Harrisburg, and FirstEnergy’s Beaver Valley plant near Pittsburgh. They are slated for retirement within the next few years, as the nuclear industry has struggled amid flatlining demand for electricity, high operating costs, and competition from natural gas and renewables. Former governor and Department of Homeland Security Secretary Tom Ridge testifies at a House Consumer Affairs Committee Monday April 8, 2019. 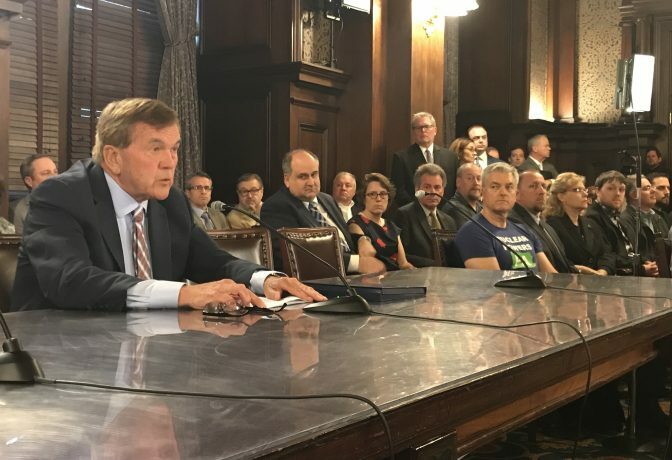 Former governor and Department of Homeland Security Secretary, Tom Ridge, was the first to speak in favor of HB 11, arguing nuclear plants are important to Pennsylvania’s economy and U.S. national security. The nuclear industry argues the current design of the power market is flawed, because it’s focused on delivering the cheapest megawatt-hour of electricity in the immediate future and fails to consider the valuable long-term assets nuclear brings to the table — like carbon-free electricity, fuel-supply diversity, and reliability. 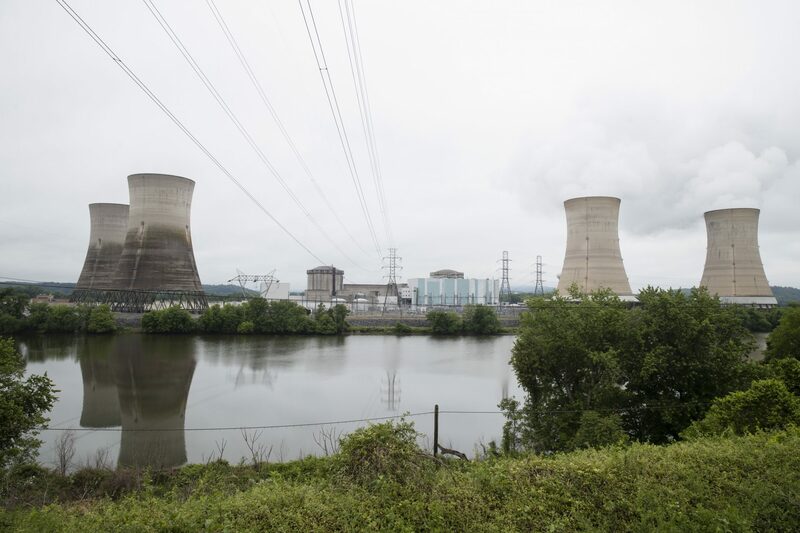 Opponents of the bill were quick to point out that all of Pennsylvania’s nuclear plants, except Three Mile Island, are profitable, and argue the nuclear industry is trying to paint a more dire picture in order to boost its bottom line. The natural gas industry stands to gain if nuclear plant retirements continue. It’s largely expected to fill the void in electric power generation. The future of both bills remains uncertain. Proponents hope to get legislation passed to aid the state’s nuclear plants by June. In recent years, other states, including New York, Illinois, New Jersey and Connecticut, have given billions of dollars in subsidies to keep their nuclear plants online.